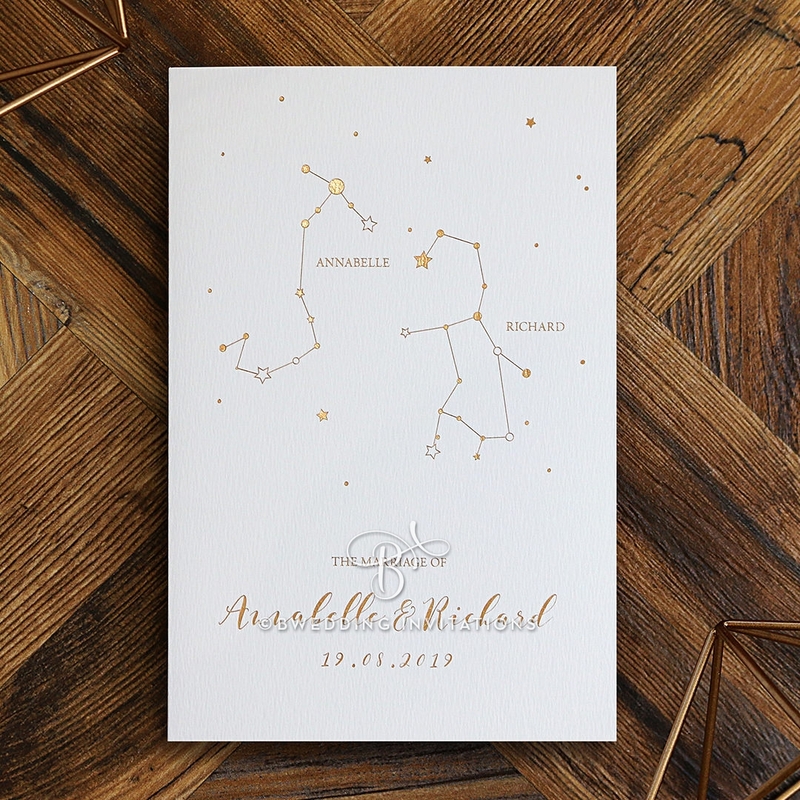 If you and your partner are passionate about astrology then this invitation is a sure winner for your modern themed wedding. 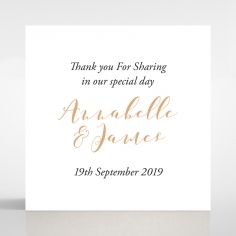 It is the perfect design that portrays your love and connection, and will impress your guests upon receiving it. 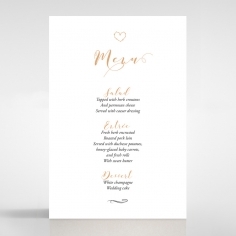 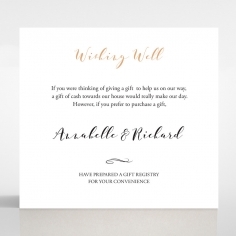 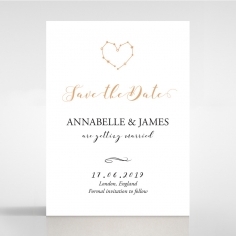 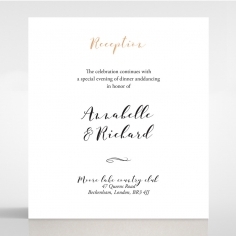 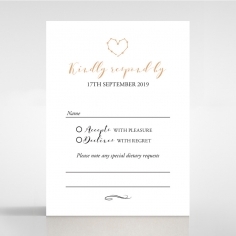 This stationery is crafted using a white textured stock that is embellished with constellations using gold foil that is hot stamped onto the card with your names and wedding date to achieve a luxurious appeal. 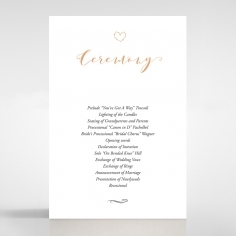 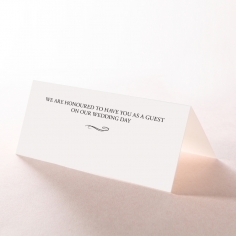 Your personalized wording will be printed on the inner matte card using gorgeous raised black ink and your selection of fonts and layout. 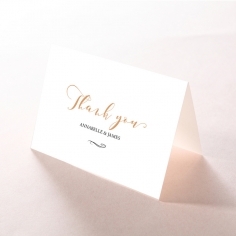 Envelopes with silky pearlized lining are included along with foil seal stickers. 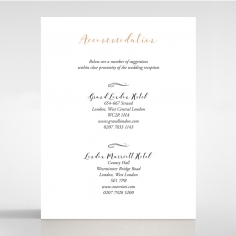 Cover PAPER: Textured Matte White 250gsm. 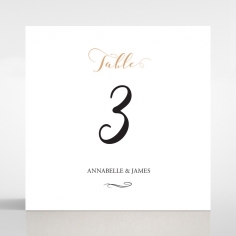 Not Customisable.